My 7 year old has been working on a project with us to create his own chocolates for Easter this year. 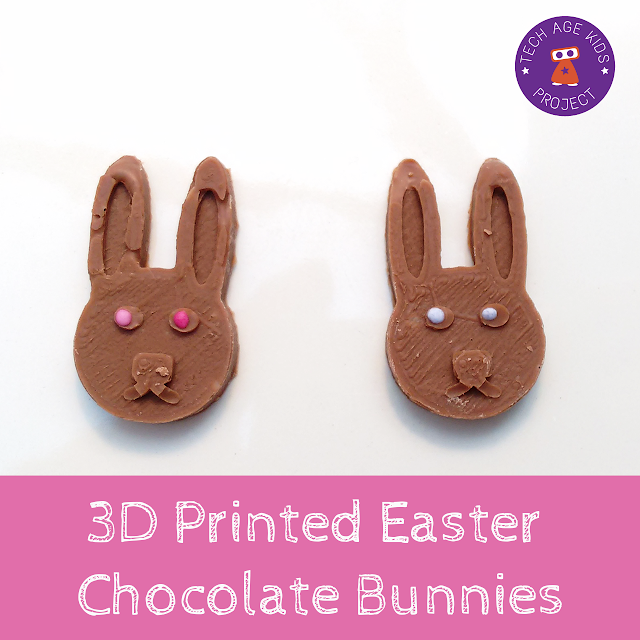 We don't have a 3D printer that can print food-safe chocolate, but we did find a way for him to create chocolate bunnies from his own design using 3D printing and food-safe silicone. 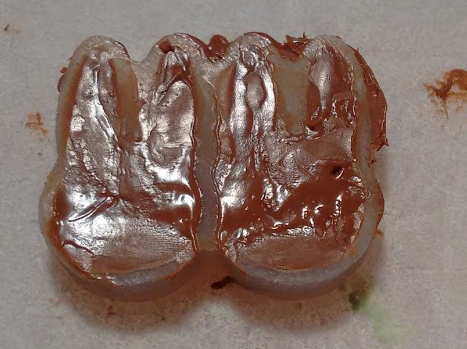 My partner has been creating foodsafe silicone molds based on 3D printed objects and then filling them with chocolate or fondant. We'll write up a full review of Shapeasy in a future post, but it allows kids to create 3D models by extruding 2D shapes. The interface is designed just to create models in this way which we found worked well. Once my son had mastered the interface he was able to create models pretty independently whereas he still finds more full-featured 3D modelling tools frustrating. Shapeasy is able to email a stl file ready for 3D printing. 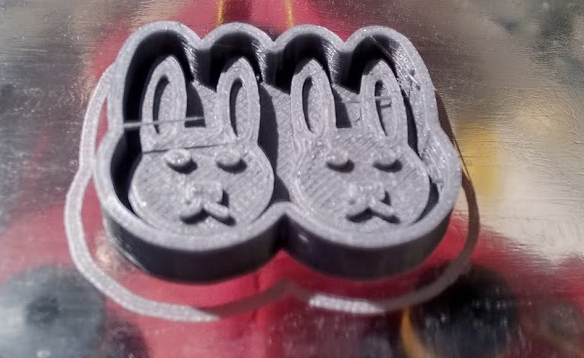 In this case we didn't want to 3D print the bunny, we wanted to turn it into a master for a chocolate mould. 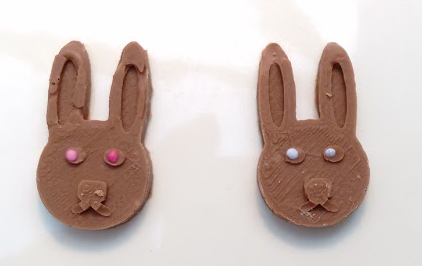 Next, my son worked with his dad to create a mould for chocolate bunnies. 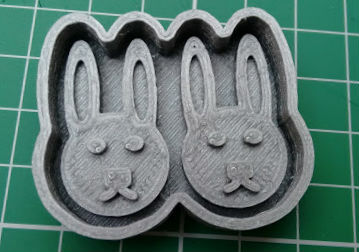 They made a double bunny mould so you can make two at a time. The moulds take a couple of days to be completely solid. Once the mould was ready they removed it from the master. 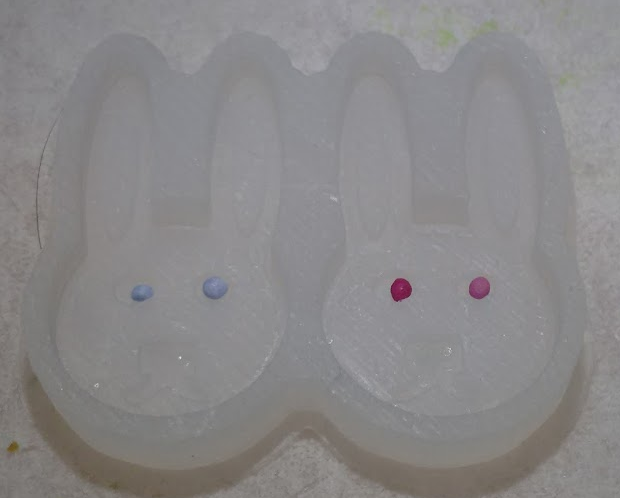 The master can be reused to make more moulds if we want to be able to make bunnies in larger quantities. The silicone is dishwasher safe so it was washed thoroughly and put through the dishwasher to get it nice and clean. They popped tiny hundreds and thousands into each eye to add detail. Then they poured melted chocolate into the mould. They just used regular chocolate not cooking chocolate. After a bit of time in the fridge they popped the bunnies out of the mould and well, I think you can guess what happened next. We'll have to make some more for Easter! This was a fab maker family project. My son was able to see his own idea progress into a very tangible (albeit briefly!) result. In the past we've created 3D models from drawings my kids have done but Shapeasy was a good option for giving my 7 year old more independence. 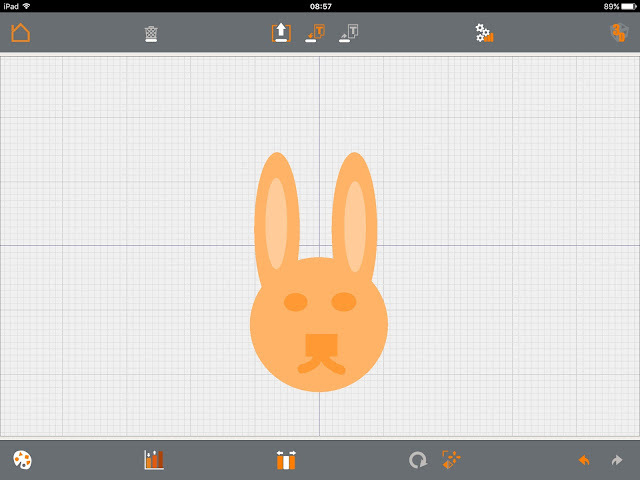 After this project he had grasped the features of the app and will be able to use it for future projects. My son now wants a giant chocolate Easter bunny head instead of an Easter egg! Buy: Shapeasy - Shade3d Co. Ltd.